NARUTO SCISSORS has 2 series for dry cut called "DS"and"Smart". Both blades of DS series are bamoo leaf shape, gently rounded shape. The blade edge is sharp by using highly skilled craftsmanship. 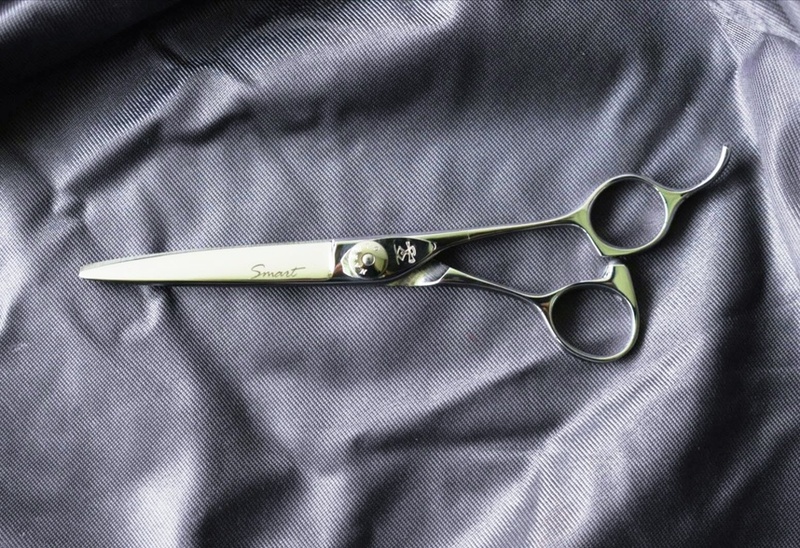 The shape to the tip reduces the damage to the hair, giving you a very soft and light cutting feeling. 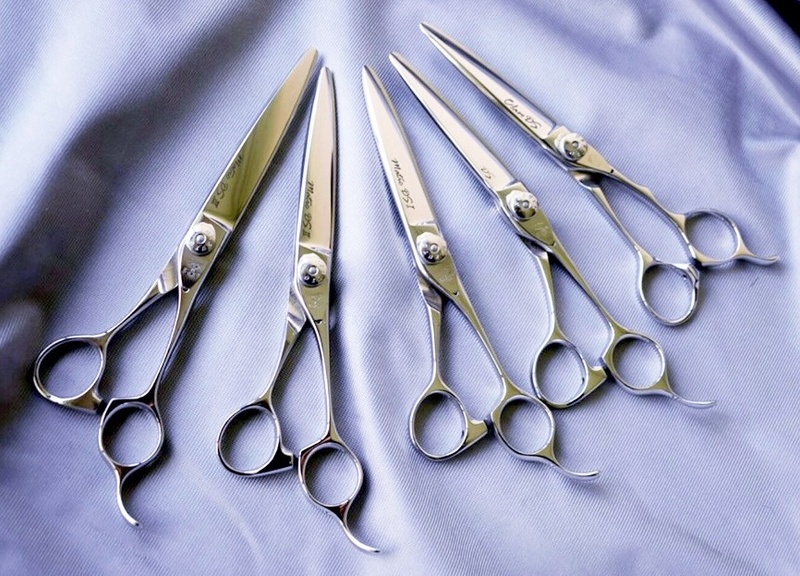 These scissors can be used for slicing dry cut and chop cut etc. "Smart" is made as a series especially for sliding technique. The moving blade shape is bamboo leaf shape and the other blade is willow leaf shape. The greatest secret is the blade edge. The bottom one third of the blade is blunt for hair to slide on purpose. 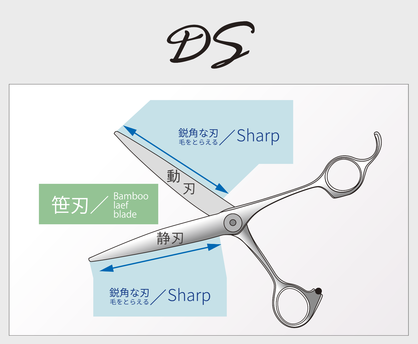 The top two thirds is sharp to cut hair without letting hair off the blade. 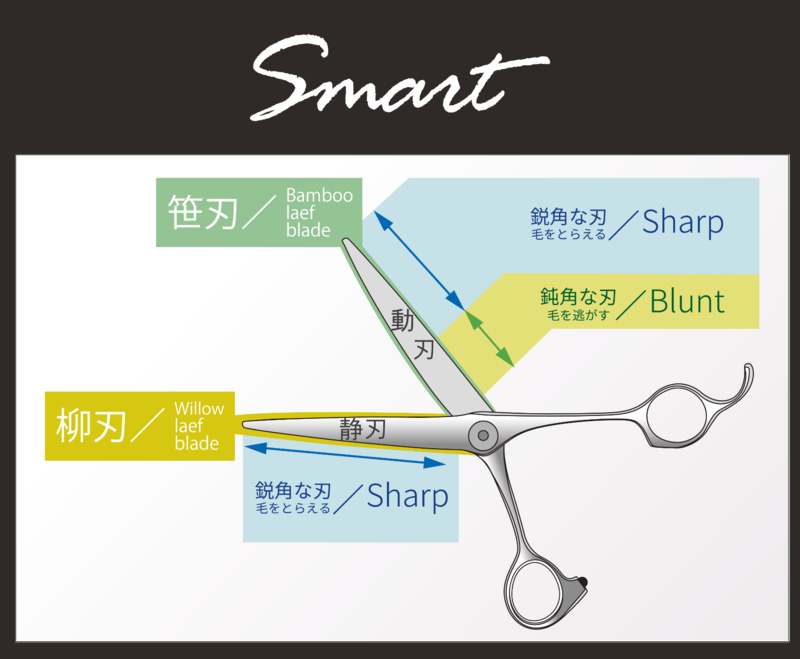 Like these features, "Smart" is suitable for slide cut technique and design the direction of the tip of the hair and also adjusting the texture.